If you are looking for steam cleaning services for your carpets and upholstery, think of Carpet Cleaning Richmond upon Thames. We’re among the most trusted carpet cleaning service providers in the Richmond upon Thames area because our customers know that they’re getting the most effective carpet cleaning technology at the lowest possible prices. 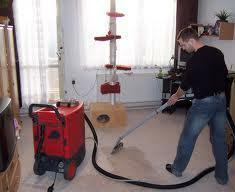 At Carpet Cleaning Richmond upon Thames, we believe that you don’t have to pay a fortune for a good carpet cleaning. In fact, using the latest and most efficient equipment and cleaning tools makes it easier for us to offer customers great savings. 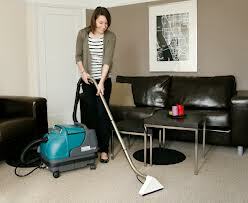 At Carpet Cleaning Richmond upon Thames our specialty is removing stains and steam cleaning carpets and upholstery. Unlike other companies that offer a wide range of household or office cleaning services, we’ve chosen to stick to one area and be the best in it. Because cleaning carpets is the only service we provide, you can be certain that you’re getting the most qualified carpet cleaners in town. Professional steam cleaning and stain removal will completely revitalize an old or tired looking carpet and save you the cost of installing a new one. *The costs above are valid about Richmond. They include the required labour (cleaning hours). If additional time is needed, then supplementary costs will be applied. Minimum charge applies. Quotes over the phone are formed based on the supplied information. Many people start looking for carpet cleaning services when they have plans to leave their current home. If you’re putting your house on the market, or trying to rent it out, spotless fresh-smelling carpets can help you negotiate a better price. So many of our clients have called to thank us for helping them turn a small investment in steam cleaning into a much larger pay-off. While we relish helping our clients add value to their home, we also believe that you should not only consider professional carpet cleaning to make your home look better for others. What’s more important is improving the home that your family lives in. Why wait until you move out to have gorgeous, clean carpets? With our competitive pricing, you can afford to have carpets in your home that look and feel new. Place a call to Carpet Cleaning Richmond upon Thames’s office and we’ll send a crew of experienced carpet cleaners to your house to show you what the latest cleaning equipment can do. Cleaning services begin with a meticulous examination of your carpets to ascertain their condition and to determine the areas which will require special attention. After this, our cleaning specialists will carefully explain the best way to clean your carpet and remove stains. For best results and first time visits, we recommend a steam cleaning session for your whole carpet combined with focused stain treatments on soiled or stained sections. However, you can also choose one of these services, depending on your needs. Carpet Cleaning Richmond upon Thames offers all our customers a 100% guarantee of satisfaction because we’re so sure that you’ll be happy with the change we can make in the appearance of the carpets and upholstery in your home. We’ve had years of experience in putting smiles on the faces of our customers by giving their carpets a new lease of life. We’d like to do the same for you and your home, so contact us today to find out more about Carpet Cleaning Richmond upon Thames’s services.